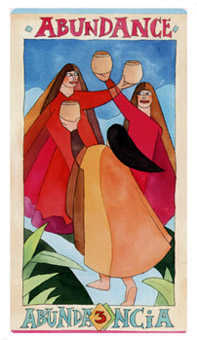 Celebrate friendships and close companions. 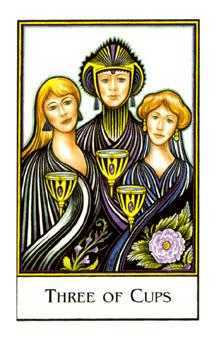 The Three of this suit is often entitled Consent, or simply Yes. 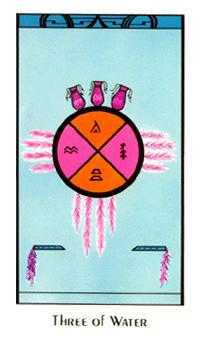 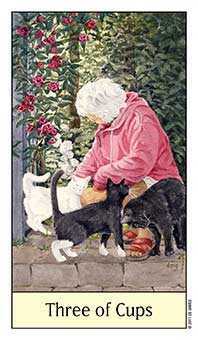 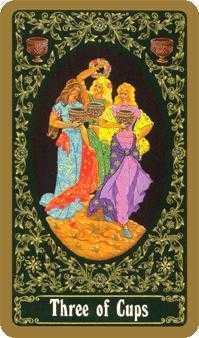 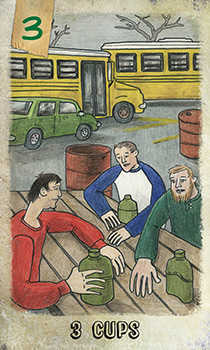 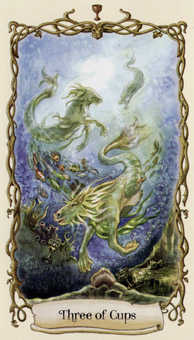 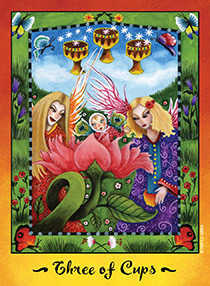 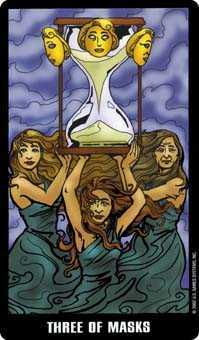 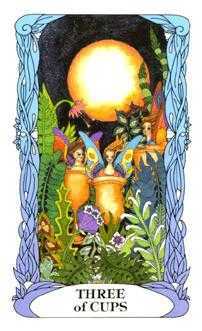 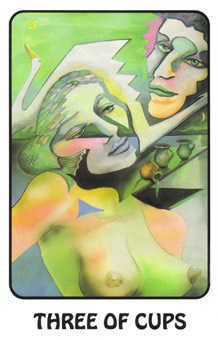 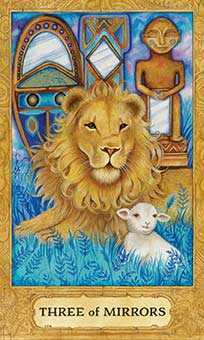 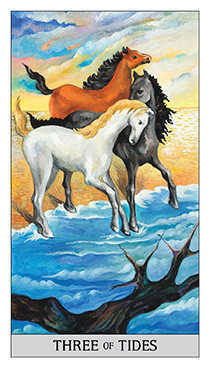 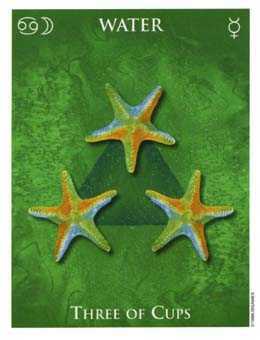 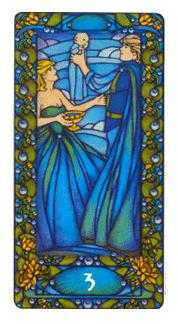 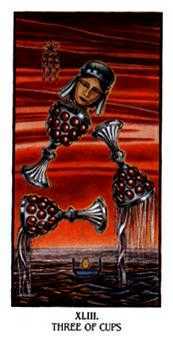 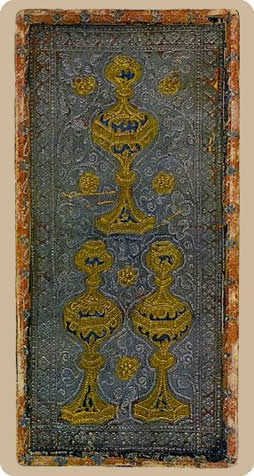 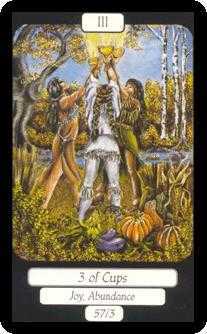 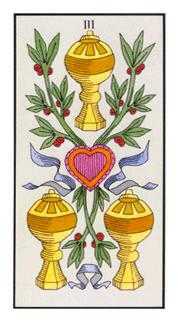 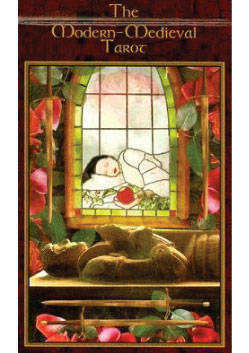 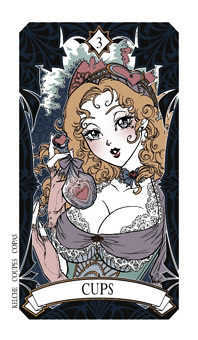 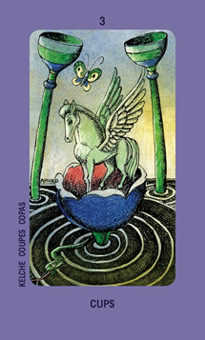 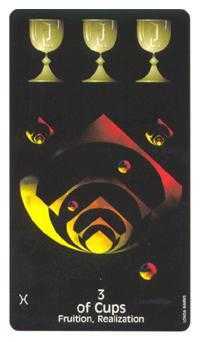 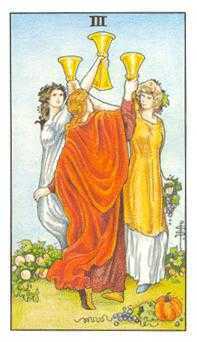 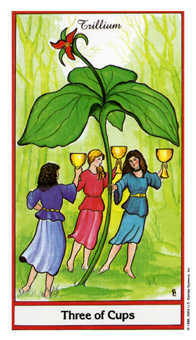 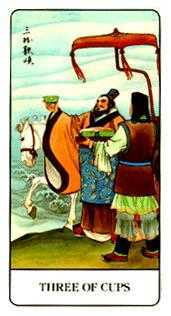 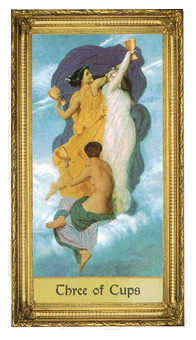 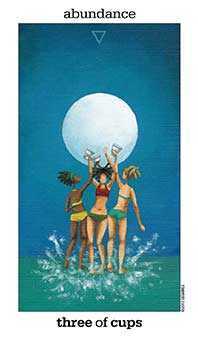 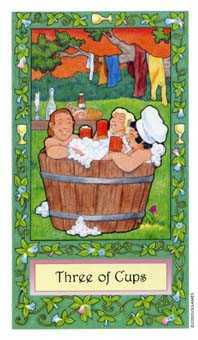 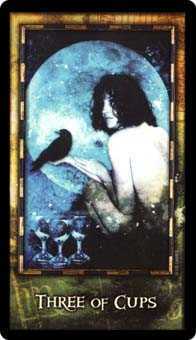 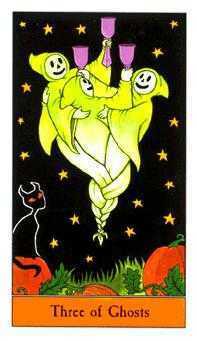 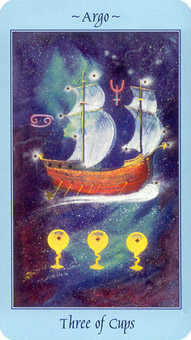 This card resonates with a spirit of agreement, mutual support, encouragement and teamwork. 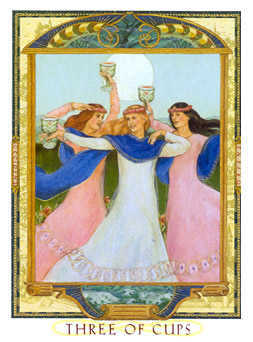 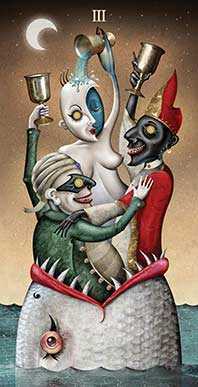 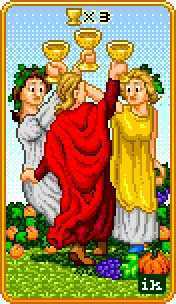 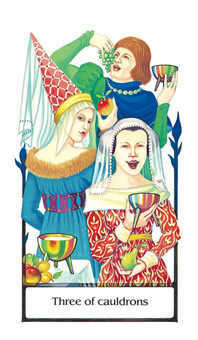 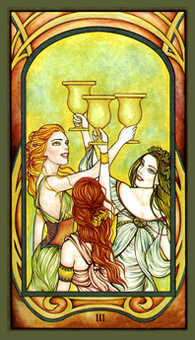 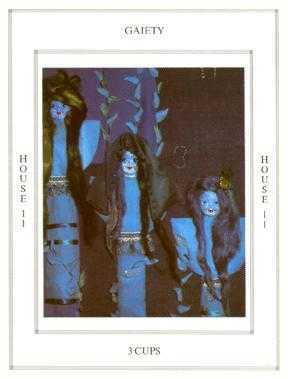 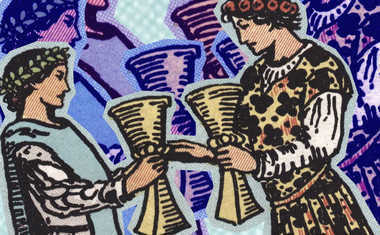 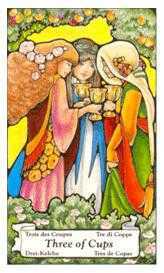 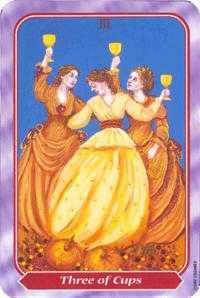 Often pictured as three women celebrating their connectedness in a dance with lifted cups, it could also be called "sisterhood," a real mutual admiration society. 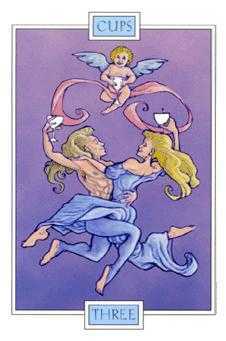 It points to all the benefits of harmonious relationship. 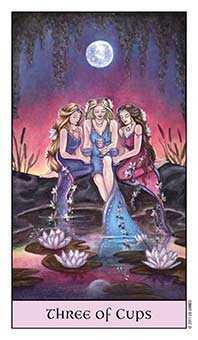 Call your family together to support you and trust that the results will be just what you need. 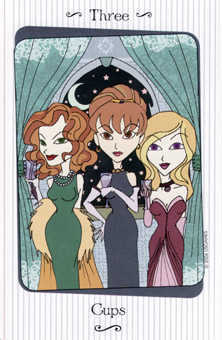 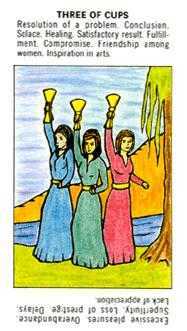 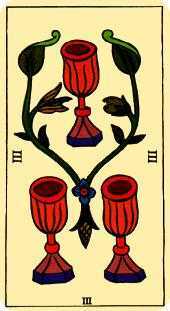 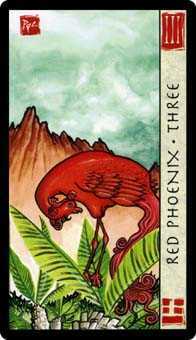 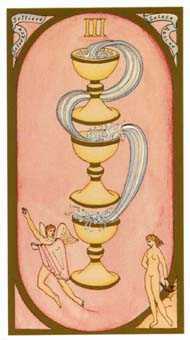 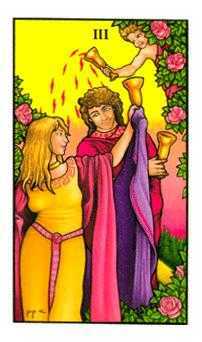 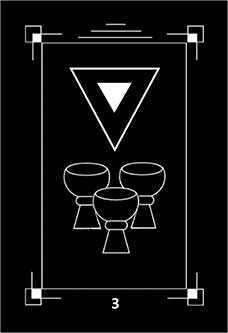 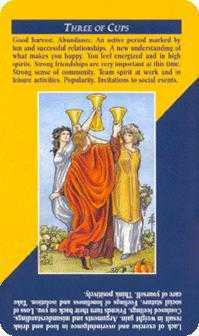 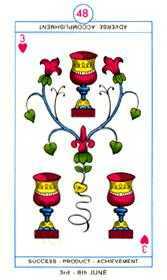 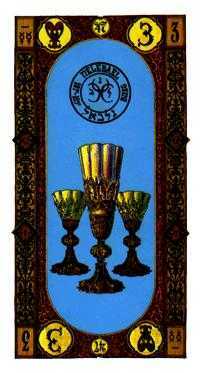 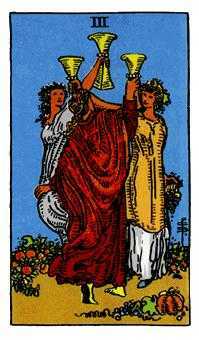 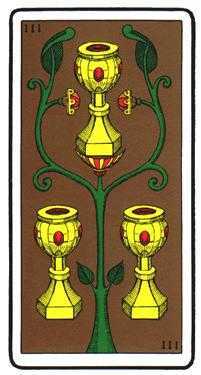 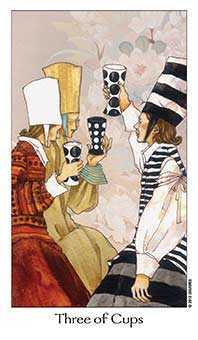 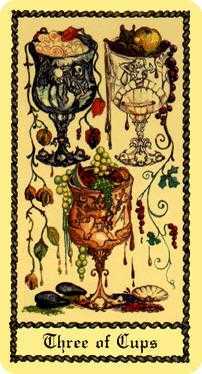 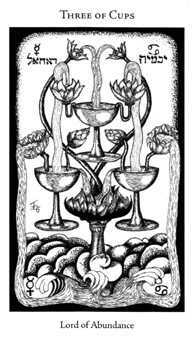 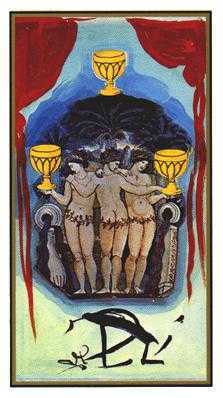 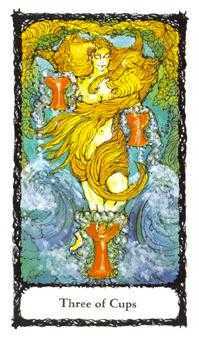 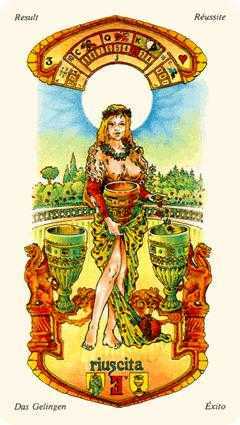 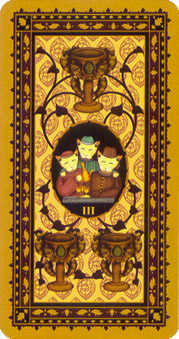 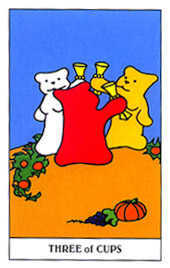 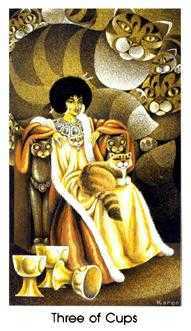 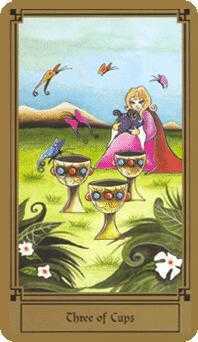 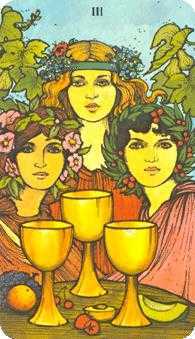 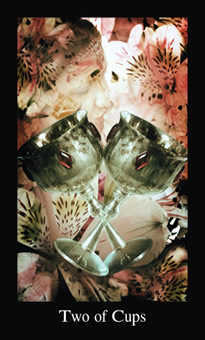 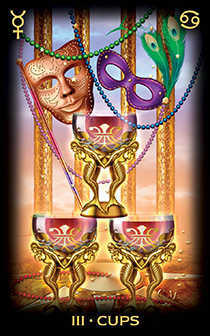 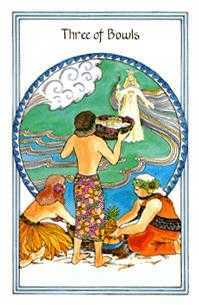 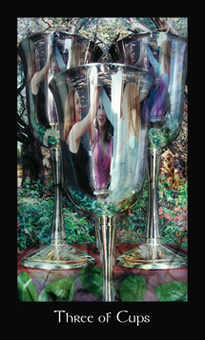 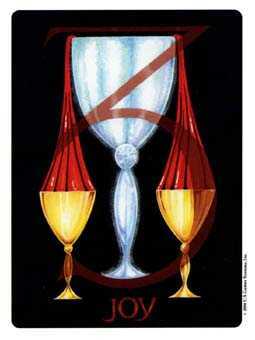 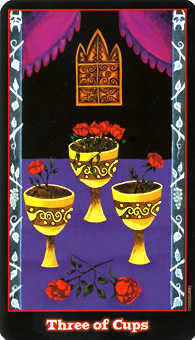 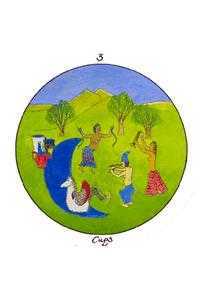 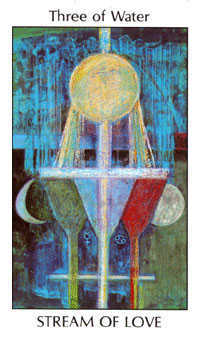 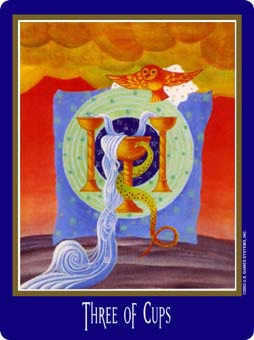 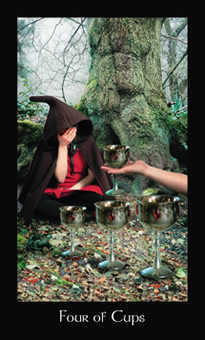 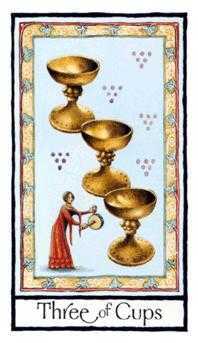 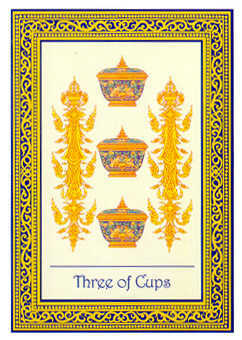 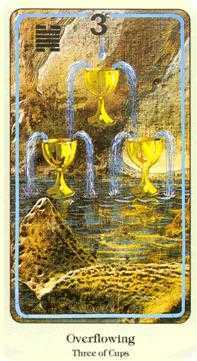 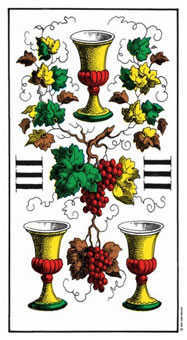 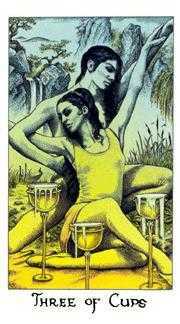 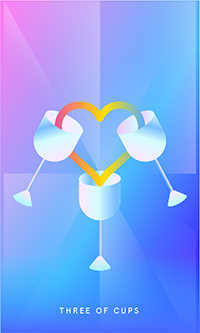 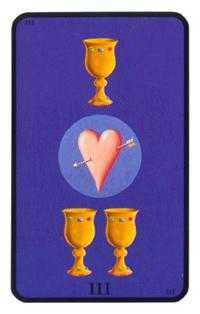 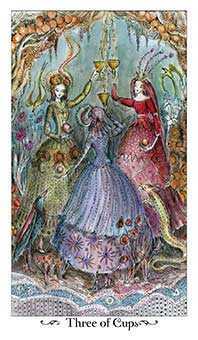 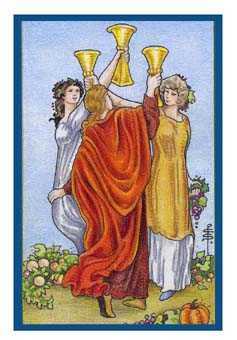 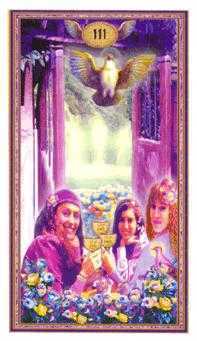 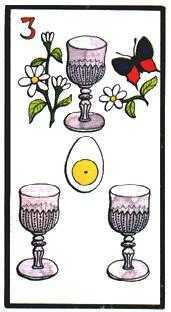 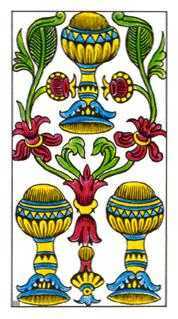 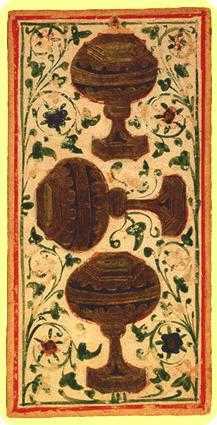 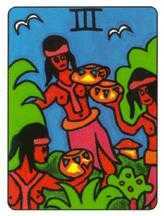 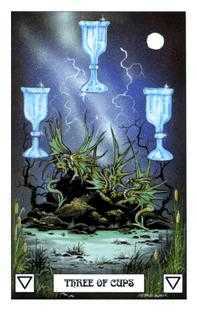 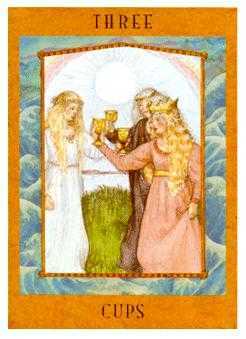 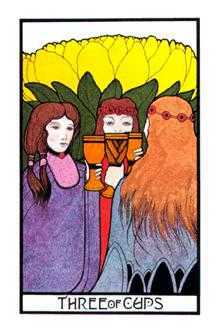 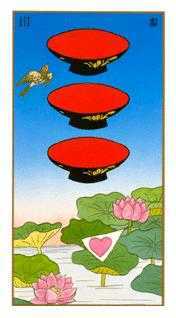 The Three of Cups in this position advises that you tune in with your family and fully inform them about what's going on with you. 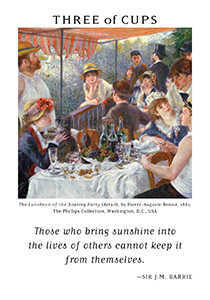 Let them add substance to your ideas with their talent and imagination. 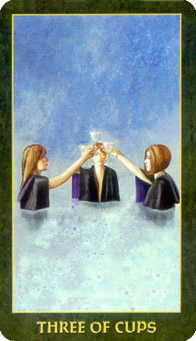 Think of this occasion as a celebration, where their support helps you find success in your work. 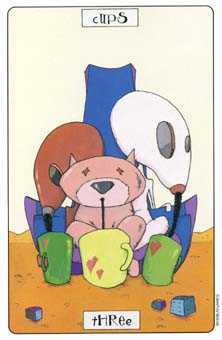 There may be something here for everyone to contribute. 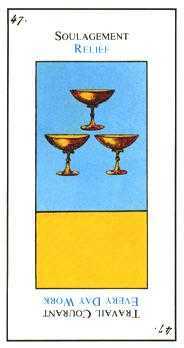 Put yourself in the loving hands of your family connections and your trust will be well rewarded. 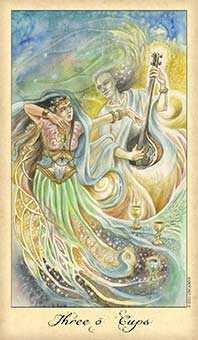 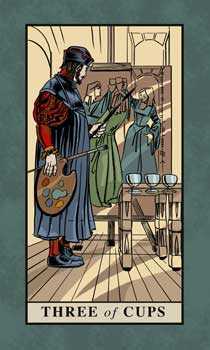 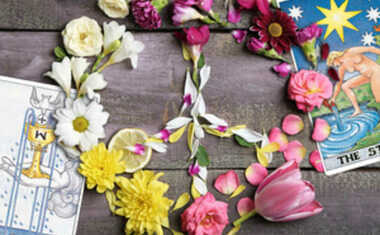 The synergy between you could enhance each individual's talent and creativity. 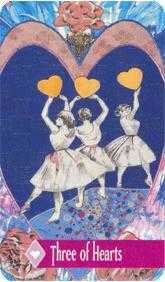 You will love the results!